When it comes to being thrifty and saving money, seniors could learn from the younger generation. Millennials are paving the way to what is known as a shared economy, where we don’t have to own our own car or lawnmower but can share the resources and therefore consume and spend less. At the same time, older adults are in a good position to benefit financially from the “gig economy,” the other side of the shared economy, in which you can rent out a room or give rides to strangers—all for money, of course. What makes the shared economy possible is the Internet, which provides a communal database where you can find and connect with a service or person. You can also post reviews and read others’ opinions of the driver you’re using or the Airbnb room you want to rent. What Is a Shared Economy? At its purest form, a shared economy is individuals sharing with other individuals: whether a power saw, car or house. However, a shared economy usually involves a business, which sets up a mutual platform for sharers and seekers to find each other. While some websites have no charges, others, such as car-sharing company Uber and home-sharing organization Airbnb, have fees or commissions. In fact, Uber, backed by Google and Goldman Sachs, is valued at $18 billion, while Airbnb is valued at $10 billion respectively (Great Transition), and are treading into the area of big business. A PricewaterhouseCoopers report estimated that the sharing economy, which totaled about $15 billion in 2014, could grow to $335 billion by 2025. It’s a big enough industry that cities are grappling with how to control some aspects. Taxi drivers are up in arms over Uber’s ability to charge less, while cities are setting up new laws to manage or tax Airbnb rooms. Yet advocates of the shared economy like to point out that we don’t use—24 hours a day--all the possessions we have accumulated: cars, bicycles, blenders, chainsaws, a two-car garage. By sharing our unused items with someone else, we’re saving resources. The shared economy also lets you save money because you are dealing more directly with the seller or service provider and sharing expenses. For example, even with Airbnb’s cost and fees, it’s still less expensive than a hotel. For older adults, the gig economy lets you work how much and when you want. Seniors who feel isolated can meet new people by giving them a ride or walking their dogs. In addition, seniors have accumulated a lot of assets over their lifetime: a house that once held children is big enough to rent out a room. A garage that had two cars only holds one now, so you can lease the extra space. You can even temporarily rent out a car that’s not used much anymore. At its most idealistic, advocates say the shared economy satisfies a human need for interaction. In one study of conversations with Lyft riders and drivers, practically everyone said some version of the following: “I like dealing with real ¬people” (Wired.com). Companies such as Uber and Lyft are different from traditional taxi services because an individual uses their own car to give rides. You need a smartphone to access and pay for a ride. The Lyft or Uber’s app stores your credit card information, so no cash is involved. Uber is also proving to be an attractive job for seniors, especially retirees, who want to pick up some extra income. Nearly 25 percent of Uber's drivers are over age 50, according to a study commissioned by the company. 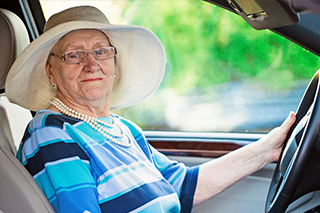 In fact, Uber recently partnered with AARP in an effort to attract older drivers, who are perceived as more reliable. Other services, such as Turo, link car owners to individuals who want to rent a car, either for an hour or a day. On average in the U.S., cars are idle for 22 hours of the day (Casual Capitalist), so there’s plenty of inventory for those who would rather not own a vehicle. Airbnb and HomeAway use their websites to connect a homeowner with someone who wants a less expensive and more personal place than a hotel to stay. Websites post pictures of the rental unit plus reviews from previous tenants, so you can get a good idea of what you’re getting. You pay online to Airbnb, which then passes your payment to the host, after taking a 3 percent commission. For seniors with bigger houses than they can use and/or with financial needs, Airbnb and Home Away allow you to rent out all or part of your house. If you decide to winter in Arizona, you can rent out your house for those few months and make some extra money. More than 10 percent of Airbnb’s hosts are over age 60. In a shared economy, we do something that we’ve been warned about our whole lives: Don’t trust strangers. In fact, the National Opinion Research Center’s 2012 poll found that only 32 percent of respondents agreed that people could generally be trusted, down from 46 percent in 1972. Online reviews and ratings make it easier to spot potential problems with vendors or buyers. You can use Facebook and other social networks to find a profile or other information about the stranger who wants to rent your car or bedroom. At the same time, insurance doesn’t always cover all aspects of this new economy. Airbnb offers liability coverage, but it's secondary to your own homeowners insurance, which may not cover damage caused by a guest. Similarly, your personal auto insurance might not be enough if you are driving strangers around. Before embarking on a gig in this new economy, you should find out what you are liable for and what the company and your insurance will cover. Otherwise you might find yourself having to pay for expenses that surpass the extra income you earned. Several sites, including TaskRabbit and Fiverr, offer a shared place for work opportunities: either providing the job or finding someone to do the task. Fiverr is oriented toward technical work, such as building a website, while TaskRabbit is geared to chores such as repairing a door or shoveling a sidewalk. For those selling their work, Fiverr takes $1 for every $5 worth of work you sell. Buyers must pay a processing fee of 50 cents on purchases up to $10, and 5 percent on purchases above $10. TaskRabbit charges by the hour and takes a fee for every job. If you need to borrow money and don’t want to deal with banks, several online networks will lend you funds—to be repaid with interest, of course. LendingClub claims to be the world’s largest online marketplace connecting borrowers and investors. It provides a lower interest rate than credit cards for borrowers and a higher interest rate than savings accounts for lenders. LendingClub offers loans up to $40,000 for financial issues such as debt consolidation, paying off credit cards and elective medical and dental procedures. The service says its borrowers reported an average interest rate that was 35 percent lower than they were paying on their outstanding debt or credit cards. Prosper is another peer-to-peer lending service. DogVacay connects pet sitters with pet owners. It’s generally cheaper than a kennel and offers the kind of personal service a kennel can’t. For example, most kennels don’t provide a daily update, with photo, of the cute things your dog has been doing while you’ve been gone, as DogVacay does. If the sitter encounters problems, they can phone DogVacay's 24-hour hotline for help. If you’re worried about leaving your dog with the wrong person, DogVacay puts all its sitters through an approval process. Boarding rates start at $25 per night, which includes pet insurance that covers up to $25,000 in vet bills per pet. Operating on the premise that we trust our neighbors more than strangers, several websites connect people who live in the same area—whether subdivision, town or section of a city. NeighborGoods and Peerby offer websites to share goods, such as power tools or a punch bowl. Advocates of the shared economy like to point out that sharing resources, such as a lawnmower that we might only use once a week, cuts down on our consumption of goods. Peerby says it has processed more than 100,000 transactions and has 500,000 users. Nextdoor does more than offer a place to trade items. Neighbors can share information also—about lost dogs, a new development going up or the name of a good handyman. Before signing up, an individual must verify their home address and provide a real name (also verified). Each Nextdoor website is encrypted. Other sharing services are Spinlister, which connects bicyclists, skiers, surfers or snowboarders who want to share their sports equipment; Etsy.com, an international marketplace for handmade and vintage items; and Guru.com and Freelancer.com for finding freelance work and workers. To find other sharing-economy websites, check out Collaborativeconsumption.com, which lists about 1,400 companies in 16 categories.